When I worked at Island in the late 80′s, the whole UK office were nuts about hip hop, most of them that is. When they’d visit New York for CMJ, or maybe it was called the New Music Seminar then, it would be straight to lower Broadway to buy sneaks and the East Village to see bands, all the while thinking they were steeped in hip hop culture. Pretty funny. Grass is always greener. I was just as guilty of acid house, or Brit pop as it cringingly got coined. 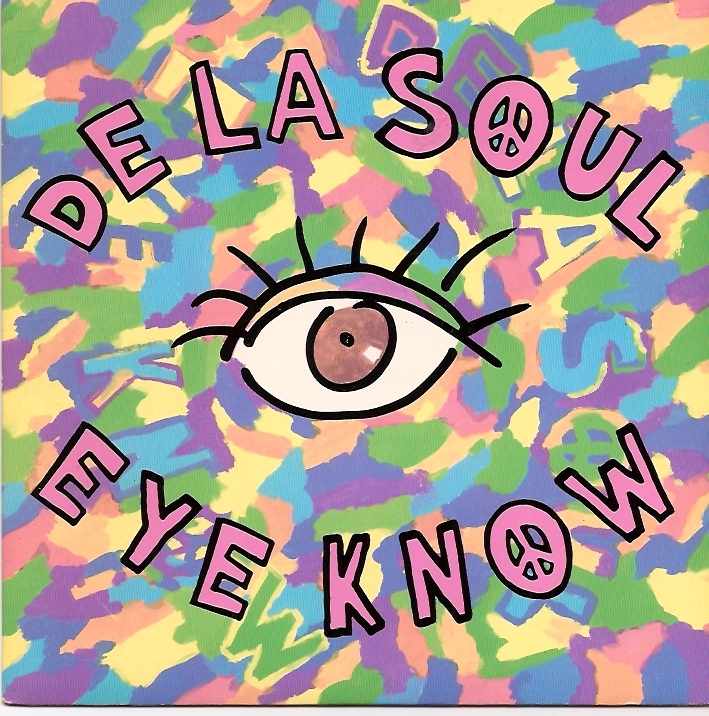 De La Soul was top of the list for them all. They’d go on about De La this, De La that, like De La clothes and De La haircuts. It was a bit embarrassing. I suppose the lure of ghetto life was no different then than my attraction to it ten years earlier, whether it be Blaxploitation or funk. So fair enough. 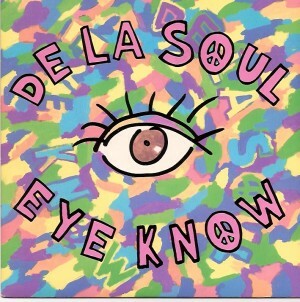 I tell you what, my effort to avoid them failed, and De La Soul became a bit of a guilty pleasure. A double pleasure really, as it got me to lower my guard against Steely Dan. During their heyday, I was way more interested in The Buzzcocks or The Heartbreakers than all their polish. Taste changes with age, mine widens in fact. 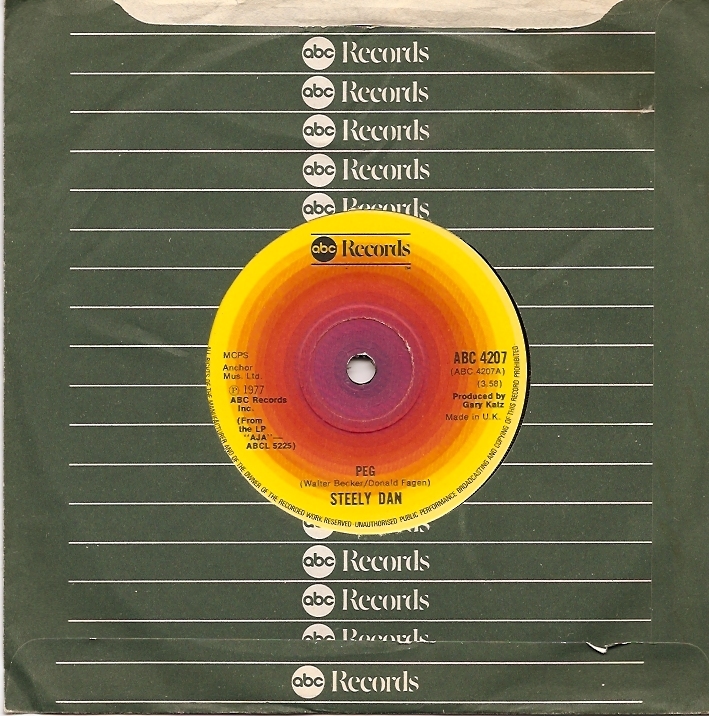 Because of ‘Eye Know’ I suddenly realized my affection for the sampled hook from ‘Peg’. 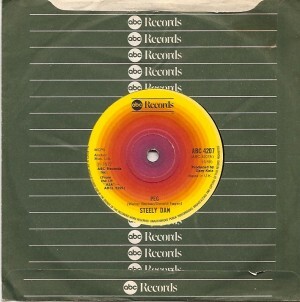 And I found I do love a nice UK pressed Steely Dan 7″, especially the promos. This entry was posted on Friday, March 11th, 2011 at 12:01 am	and is filed under Big Life, Blaxploitation, CMJ, De La Soul, Island, New Music Seminar, Steely Dan, The Buzzcocks, The Heartbreakers, Tommy Boy. You can follow any responses to this entry through the RSS 2.0 feed. Responses are currently closed, but you can trackback from your own site.